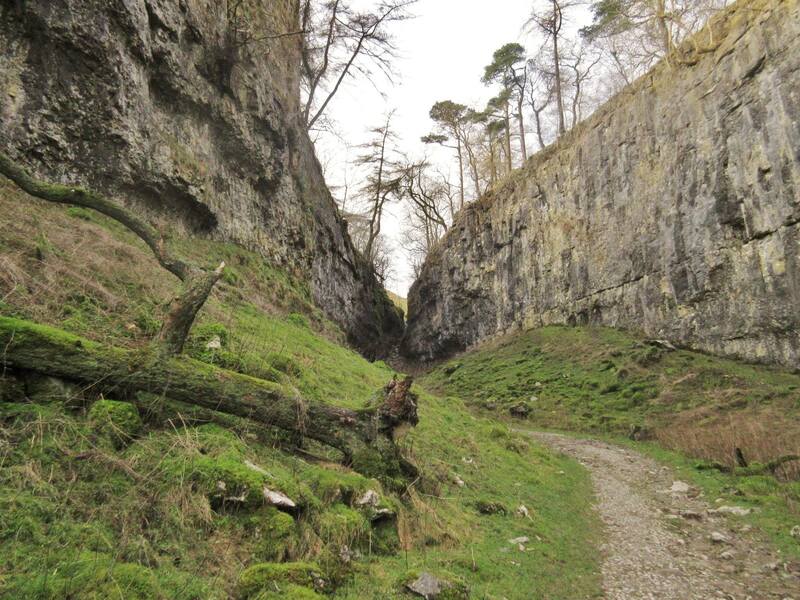 Trow Gill dominates the route from Clapham to the top of Ingleborough. The impressive gorge numbs the senses like the main water-feature of some ambitious giant’s garden – only with the supply dramatically cut off. Hemmed in between high limestone cliffs, the dry waterfall appears so stark and fresh that it is incredible to believe the water has been gone thousands of years. Climbing the boulder slope, one can almost hear the torrent that once plunged through the ravine of this classic meltwater gorge. As the glaciers began to recede at the end of the Devensian, massive amounts of meltwater flowed over the frozen ground beneath. The usual escape routes for surface water – the caves and potholes – were still blocked by ice, so the water sought out new routes, creating distinctive channels in the process. On Ingleborough, a meltwater channel moving off Hurnel Moss converged with the main flow over the Gaping Gill area to the east, producing the powerful torrent that effectively cut deep into the Great Scar Limestone to form Trow Gill. 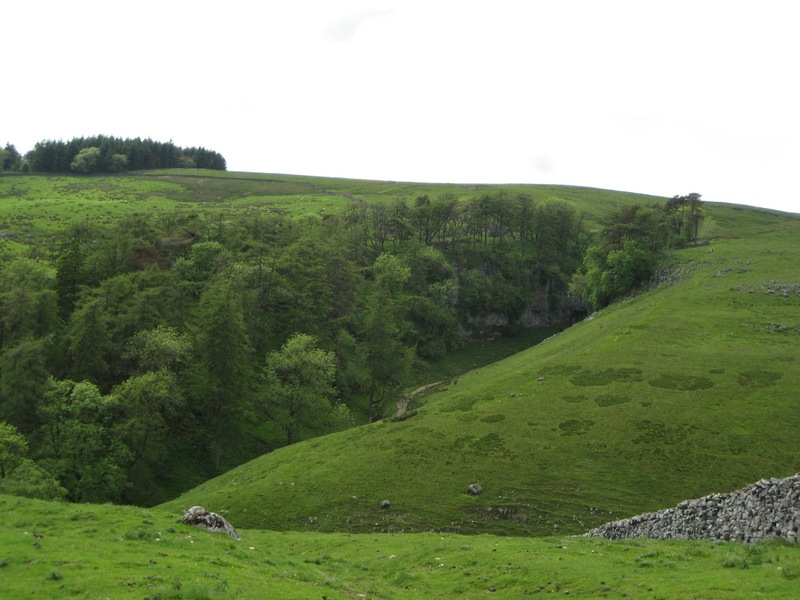 Even so – it seems hard to believe that such a deep gorge could be formed in a relatively short space of time – and how far Trow Gill is a product of successive glaciations is still open to debate. Swirling water within the confines of the gill created a series of round ‘potholes’ which are obvious on the right flank as one negotiates the slippery boulders of the abandoned cascade. 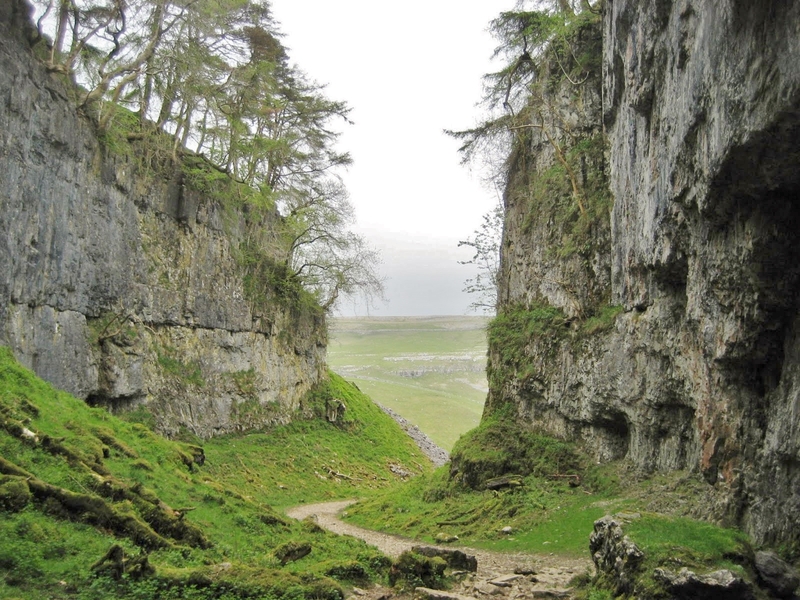 On the left side, a narrow cave entrance probably indicates a former resurgence, and has been referred to by at least one writer as the ‘devil’s kitchen,’ with its curiously detached table of limestone just inside the entrance. Meltwater has left its mark elsewhere in the vicinity of Ingleborough. 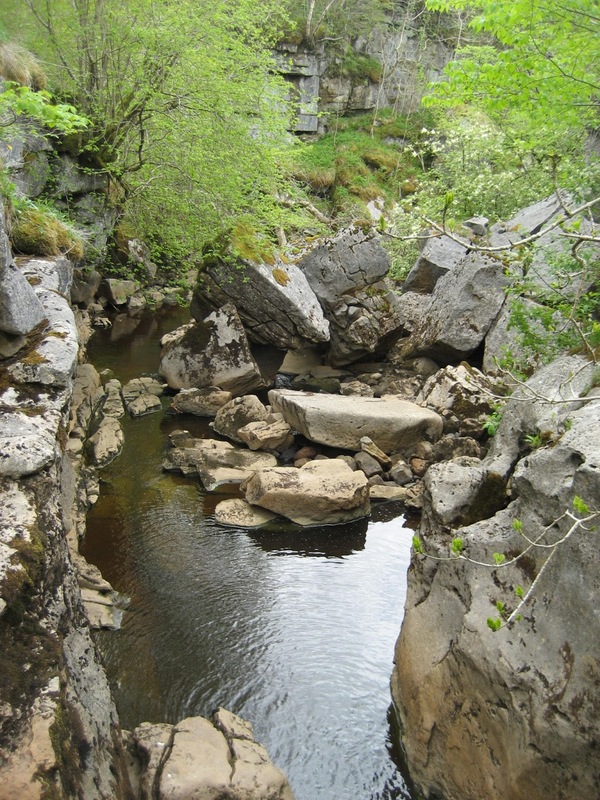 Below Gearstones at Ribblehead, the attractive ravine of Thorns Gill is another example of its creative force, where the infant Ribble bubbles through a playground of boulders and pools. 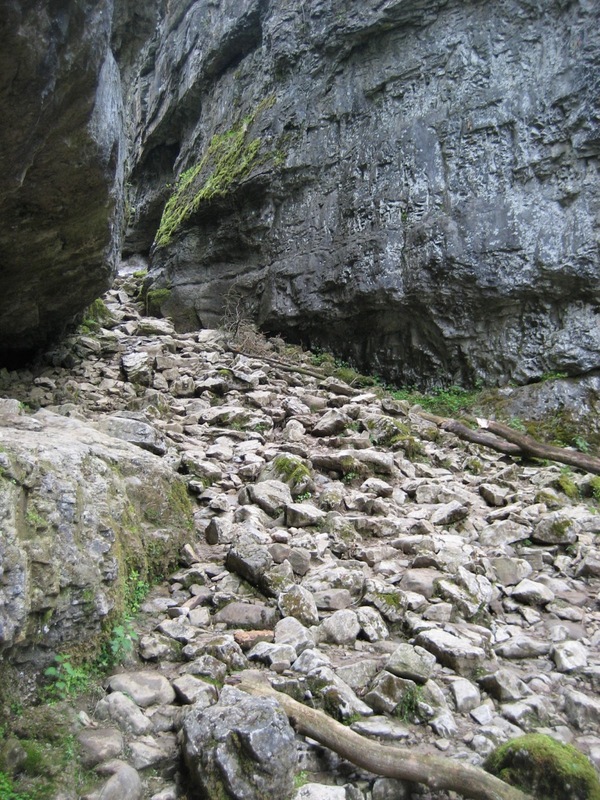 Further afield, on the east flank of Ribblesdale, Ling Gill is perhaps the most spectacular of all meltwater gorges in the area – but such an intricate obstacle course of slippery rocks and boulders that its confines are little-known and seldom visited. It is a nature reserve under the care of Natural England, and access is not encouraged. With special permission and adequate care, however, its secrets can be revealed as a wild and inhospitable gorge – flanked by towering cliffs of limestone and littered with house-sized boulders. It is obvious to the visitor that such a small stream as Ling Gill Beck cannot have created such grandeur on its own – and that meltwaters surging off Cam Fell must have exploited an already well pronounced river valley connecting to the main flow down Ribblesdale as the glaciers receded. The end product was one of the most impressive features of the Three Peaks area. 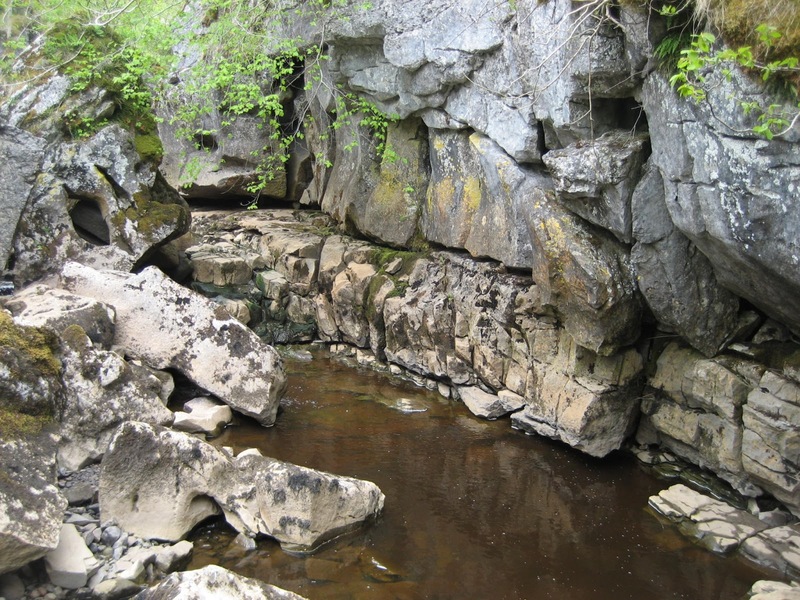 There are countless other examples of channels and ravines left by meltwater around the Ingleborough massif. Cavers approaching Alum Pot see a distinctive dry valley on the right of the track from Selside, caused by overland flow when the great pothole and its associated caves were blocked by ice. 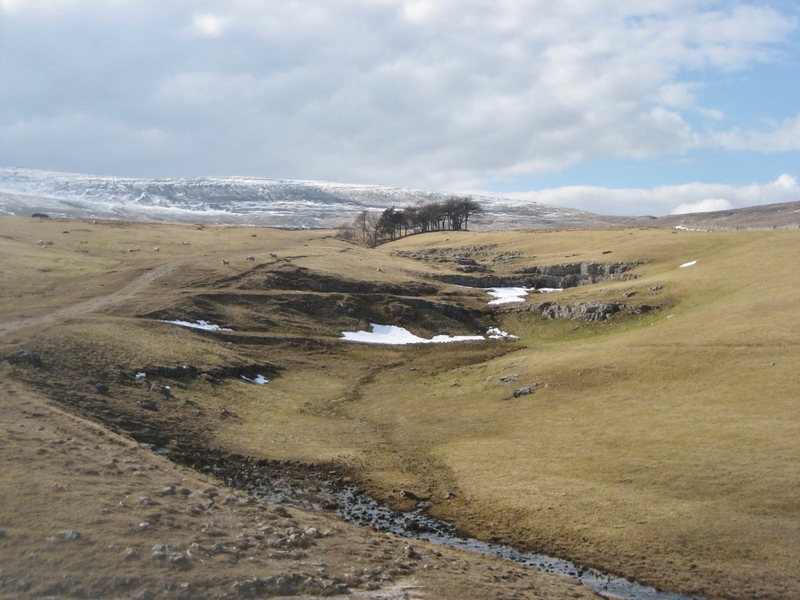 Walkers on Scales Moor can look across to the benches below Ingleborough itself and pick out numerous meltwater channels through the Great Scar Limestone succession – often following fault lines. Here the water was flowing off the high benches into the main flow down Chapel-le-Dale. 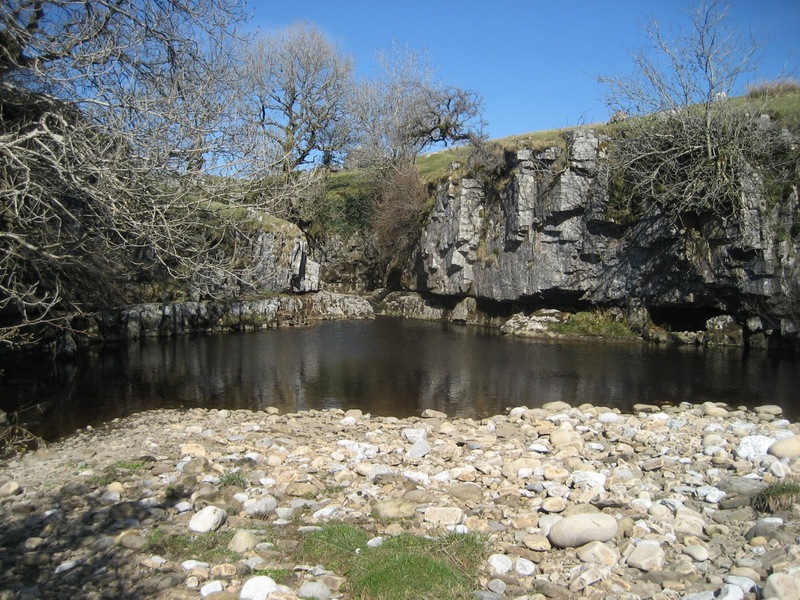 Most curious of all is the Black Hill Channel – between Stainforth and Malham, where there is no evidence of either a catchment or outflow. Isolated features like this prove that meltwater flow didn’t always confirm to modern day drainage patterns.